McDevitt stepped down from the role he had held since 2014 at ASADA last May, having opted against serving another three-year term. The official had previously served in law enforcement for 28 years with ACT Policing, the Australian Federal Police, Royal Solomon Islands Police and the Australian Crime Commission. McDevitt faced several notable challenges, including the controversial scandal surrounding Australian Football League (AFL) club Essendon, whose record of 16 Premiership titles is the best in the sport's history. It led to 34 players from the club being banned. 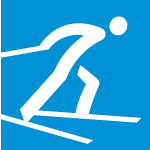 McDevitt will now chair the WADA independent observer team at Pyeongchang, which the organisation claim is composed of international experts in anti-doping. The team are "intended to instill confidence in both athletes and the public as to the quality, effectiveness and reliability of the Olympic and Paralympic anti-doping programmes", according to WADA. "The teams will observe all aspects of the programmes; including test distribution planning; selection of competitors for testing, notification of doping control, therapeutic use exemption procedures, chain of custody, sample analysis and results management," WADA said. "They will provide real-time feedback as to possible improvements to the International Olympic Committee (IOC) and International Paralympic Committee (IPC) as well as Pyeongchang 2018. "It should be noted that the IOC will outsource some of its anti-doping activities to the Global Association of International Sports Federations' Doping Free Sport Unit on behalf of the new International Testing Agency. "WADA's independent observer teams will then issue post-Games reports that will include recommendations for the IOC, the IPC, future Organising Committees, the WADA-accredited laboratory and WADA - all that are designed to enhance anti-doping activities at future Games." McDevitt will be joined by vice-chair Frédéric Donzé, WADA's chief operating officer. Fellow WADA officials Ilaria Baudo, Osquel Barroso, Thierry Boghosian and Karine Henrie will also form part of the team. China Anti-Doping Agency executive director general Zhiyu Chen, the International Cycling Union's head of legal anti-doping services Dominique Leroux, and former Athletes' and WADA Education Committee member Kadidiatou Tounkara complete the team. Pirjo Ruutu, senior counsellor at the Finnish Center for Integrity in Sports, will act as team chair for the Paralympic Games. WADA's George Tsamis will act as the vice-chair, with Francisco Leon serving as the team manager. The International Equestrian Federation's Catherine Bollon, and Gobinathan Nair, director general of the Southeast Asia Regional Anti-Doping Organisation, will also be on the team. WADA's athlete outreach programmes will also take place at the Games, with the organisation stating they will be visible and active in the Athletes' Villages. "These programmes will build awareness among athletes, support personnel and others as to the dangers and consequences of doping; and, as it relates to athletes' rights and responsibilities under the World Anti-Doping Code," WADA said. "Visitors will be encouraged to complete the Play True Quiz, which is now available in 39 languages, to sign the Clean Sport Pledge and to share their experience on social media using the hashtag #PlayTrue." WADA's Stacy Spletzer-Jegen and Kangeun Lee will serve as the team manager and assistant manager respectively at the Games. Lala Hajiyevato and Tammy Hanson, education managers at the Azerbaijan and United States Anti-Doping Agencies, respectively, will form part of the phase one team. They will be joined by the World Curling Federation's anti-doping administrator, Susan Keith, and Petr Koukal, a WADA Athlete Committee member from the Czech Republic. The Slovenian Anti-Doping Organisation's Nina Makuc is part of phase two of the programme, along with the Japan Anti-Doping Agency's Yuka Morokoshi and Dominic Muser from the German Anti-Doping Agency. UNESCO's Raluca Petre-Sandor and the International Ice Hockey Federation's Simona Richiger will also be part of this phase. Lee will move to the post of team manager for the Paralympic Games, with the South Korean set to be joined by Saparamammet Durdyyev, from the National Anti-Doping Agency of Turkmenistan. WADA's Yuko Otaki and Fei Sai of the China Anti-Doping Agency complete the team.